Spend time on Facebook or Pinterest and within minutes you’ll probably encounter talk of essential oils. The dark, glass bottles and picture guides to get you started on an essential oil journey are everywhere! Some conversations on essential oils and brands to buy spark heated debates among the closet of friends. It’s a serious topic these days! So, what about me? If you’ve been around Live Simply long enough to enjoy brownies or a glass of kombucha, you know I use essential oils. While I don’t talk much about these oils, a few of my favorite oils can be found in many of my homemade recipes, such as: lotion, body wash, foundation powder, and homemade cleaners. I’m a non-confrontational kind of gal. I research what’s best for my family, carry on with what works best for me, share with others, and avoid discussion on heated topics. 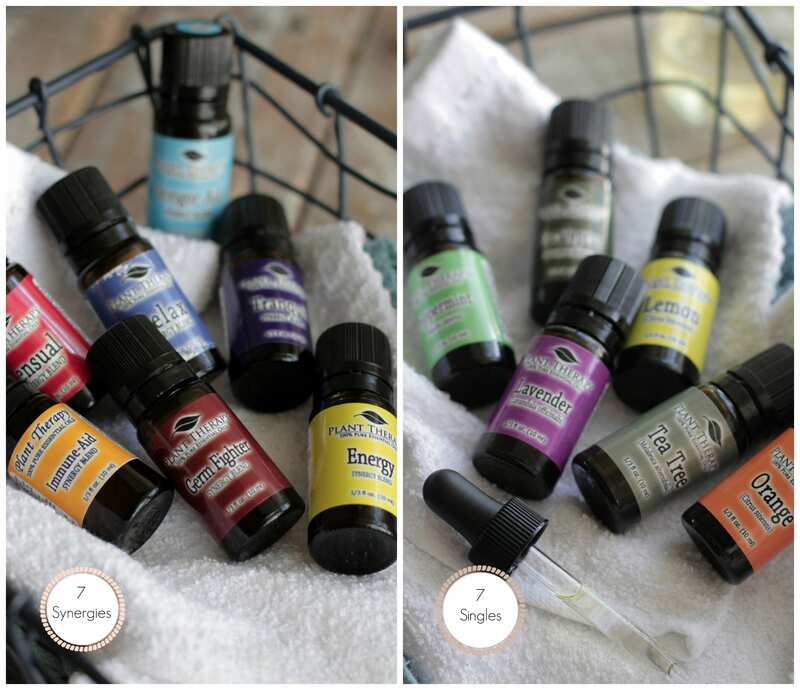 Today, after much thought and and reader questions, I’ve decided to share my thoughts on essential oils including where I buy my oils, what I buy, and how I use them. Before we dive into the what and how of essential oils (the practical side), I thought it best to explain a bit about essential oils. Essential oils are quite popular today with good reason, but knowing what an essential is and the why of using them, is really important if you’re going to make informed choices about the how. Some essential oils come from seeds while many others are extracted from the leaves of the plant. Because essential oils are so highly concentrated it takes a large amount of plant to produce just one oil. Essential oils are incredibly powerful due to this high concentration, so a little bit goes a long way. Despite the sudden burst in popularity, essential oils are not a new thing. The ancient Egyptians were among the first people to use aromatic essential oils, incorporating them into their daily lives. Pure essential oils were incredibly valuable and saved for priests and royals. Ancient books such as the Bible also talk about the use of essential oils. According to the book, Essential Oils for Beginners, the Old and New Testament reference essential oils over two hundred times. Other ancient societies such as the Chinese and Greeks and Romans used essential oils and herbs for: aromatherapy, ailments, and personal hygiene. Even Hippocrates spoke of and used essential oils. Let’s talk why? Essential oils may have been popular in ancient times, but why today? When certain oils are blended with the correct knowledge based on therapeutic properties and chemical families, the blends can be even more powerful than a single oil. I think the majority of essential oil users would agree on the why of essential oils, but here’s where essential oil talk gets a bit controversial. 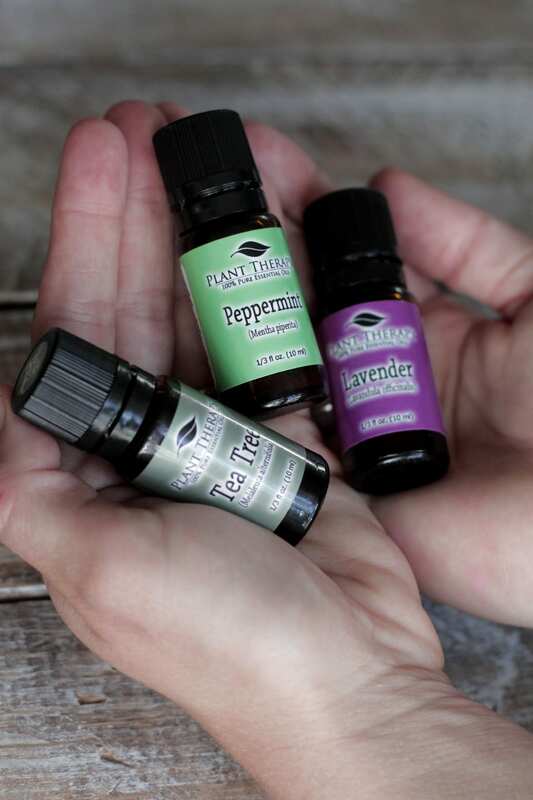 Before we talk about where I buy my essential oils, I think it’s important to discuss two terms often used in the buying controversy: “therapeutic grade” and “certified pure therapeutic grade”. It’s important to note that there is no agency that regulates these terms, rather they are made up by the essential oil industry. Don’t let these terms fool you or effect your buying. It’s true, not all essential oils are created equal. Essential oils will vary depending on how they are grown, harvested, and tested. It’s important to do your research, ask questions, and find a trusted essential oil company that tests their oils and openly answers your questions. One of my absolute favorite companies for buying essential oils is Plant Therapy. I also purchase essential oils from Aura Cacia, NOW, and Mountain Rose Herbs. When I first started using essential oils for my homemade products, I only owned one oil: lavender. I’ve always been obsessed with the lavender fragrance. Once I learned about the healing properties of lavender for the skin, I decided to add a few drops to my homemade foundation powder. Between the absence of toxins from the store-bought powder and the healing properties of lavender, my acne-prone skin cleared within a few weeks. I was beyond thrilled. I’ve also started to learn more about the blends we discussed earlier, called, “synergies”. These blends are carefully formulated by mixing oils with similar therapeutic properties and chemical families, making a powerful blend of oils. Because a little bit of oil goes a very long way, a starter set of oils lasts months (if not longer) in our house. It’s a good thing the shelf life of oils is around 1-2 years. One of my favorite sets that includes seven basic oils and seven synergy blends is the “14 Essential Oil Set” from Plant Therapy. This set contains the majority of oils needed to make most of my homemade products, along with therapeutic synergies (blends of individual oils). Along with essential oils, I also stock carrier oils, as it’s best to dilute essential oils. Some oils can even burn the skin if applied directly. I’ve found a diffuser is also helpful. Remember those toxic scented plug-ins? Yep, throw them away! Your favorite essential oils and a diffuser are your new friends. Before using essential it’s important to educate yourself! Knowing what essential oils work best for various uses, which essential oils should not be used around children or even in the sun, and how to store oil is vital to safe essential oil usage. Plant Therapy provides responsible education for oil use on their site. You can read more about essential oil FAQs here and here. Keeping a non-biased reference book on essential oil basics can prove very handy. With knowledge on your side, you can put your essential oils to work in your home. Remember, a little bit of oil goes a long way. 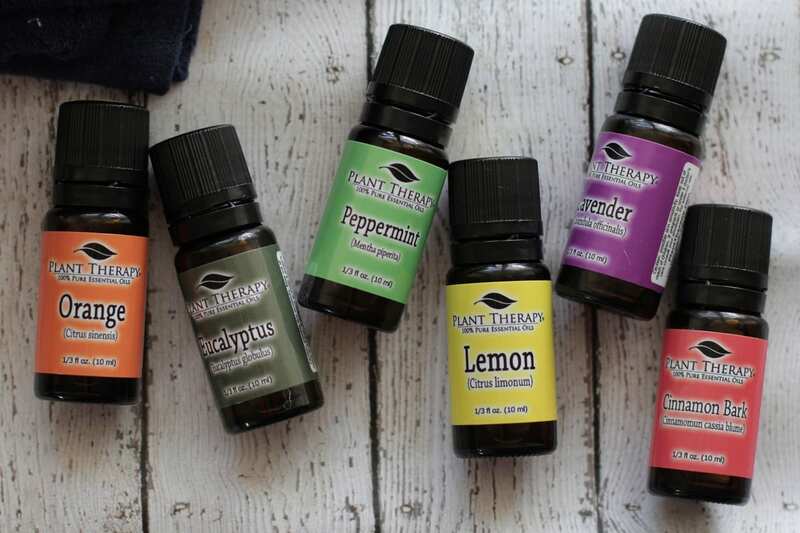 Below, you’ll find a few of my favorite homemade recipes using essential oils. You can also use essential oils simply for fragrance and their therapeutic aroma benefits using a diffuser. Essential oils are powerful and serve a wonderful purpose in the natural family’s home. Always make informed choices and do your own research with essential oils. With knowledge and a few high-quality oils you can make many homemade products and enjoy therapeutic benefits. I get so nervous with all the ingestion suggestions from new “reps” for the most popular MLM EO companies. A doctor and a naturopath have both cautioned me against ingesting EOs of any brand. There can be potentially devastating side effects. I’ve used EOs for twenty years, and I love what they do for my mood and health! This is great information you’ve shared. Thanks! Hey Lisa, I agree! It’s really scary to read the information being shared just to sell oils, including ingestion! I love that you’ve been using oils for 20 years!! Do you have any favorite oils? Thank you, Kathy. Let me email Plant Therapy and ask about the coupon code not working for you. I’ll get back with you shortly. It works now, thanks!! I saved over $10! Hey Kathy, So glad it worked for you! That’s a great savings! Enjoy. Kathy, the coupon code is now working. I had been out of town all last week and forget to activate the coupon code. Sorry! is this coupon still available? Hey Svelta, It isn’t. I believe I removed it from the post. Sorry about that. Plant Therapy does run deals quite often. So ya’ll are saying that we are not supposed to ingest the EO’s in any form? I am just getting into using the oils and have ingested pepperment oil but nothing else yet. After reading the statements that I have read here, I am no longer sure that is a safe idea. When oils are use on the skin for massage, rub, lotion, makeup and othe applications, doesn’t it enter the body through our pores and end up in the blood stream? Just curious and questioning because I am so new to oils and trying to learn as I try to sift through all of the information that is our there in cyber land. Thank you for any help that you can give me. Hey Karen, There’s so much information on essential oils and much of it comes from MLM companies looking to sell lots of oils (much like Avon). These companies work on a commission basis and encourage reps to push information that’s not always safe or studied. I think much of the information on ingesting oils comes from these companies and sellers. I wouldn’t advise ingesting oils unless under the care of a natural doctor that knows what they are doing. One of the best sources for all-things essential oil safety is this independent site run by a certified aromatherapist: http://www.learningabouteos.com/. Plant Therapy also provides great information on their blog. Hope that helps :). I love the blue and the lavender.. My wife always have this whenever I’m so stressed from work and she applied this for me every night.. Its perfect for relaxing your body and in morning it feels like your morning is complete..
Hey Jethro, That sounds like a great combo. Thanks for sharing. Hey Christine, You’re so welcome! Enjoy the wonderful oils. I agree essential oils has a ling history of skin benefits.. They are truly amazing with treating problems including acne, killing germs and much more. Thank you so much. The world of essential oils can be very confusing today, I’m glad you found clarification :). Hi Kristin! , i too am new to all this EO business. Ever heard of a company called plant life , they too make ready all natural soaps and essential oils and i found some of their stuff at tjmax for a great price, just wondering what your opinions are? Hey Hela, I don’t know anything about Plant Life, but from looking at their website they seem legit! If you get a chance, I would call the company and ask them about plant sourcing and how the oils are distilled. Hi,thanks for the quick response! , what would be the ideal plant source and methods of distillation? .I also purchased lavender from NOW , ever heard of this company ? 11.99 for a small bottle, yikes! Hey Hela, I would highly recommend reading this post: https://livesimply.me/2015/03/07/essential-oils-101-22-important-questions-answers/. It’s an interview with the aromatherapist team from Plant Therapy, and provides so much valuable information from what’s a good essential oil to how to use them. I purchase NOW brand on occasion. They are a good brand, in my opinion. Lavender varies in prices depending on the type. I am looking for recipes, for lack of a better description, for using EO’s. Anyone know of a good place to get the low down? I’ve read not to use some oils around children, is it safe to use in a diffuser/vaporizer around children? Hey Erika, Some essential oils are safe to diffuse in a room with children, from what I’ve read. 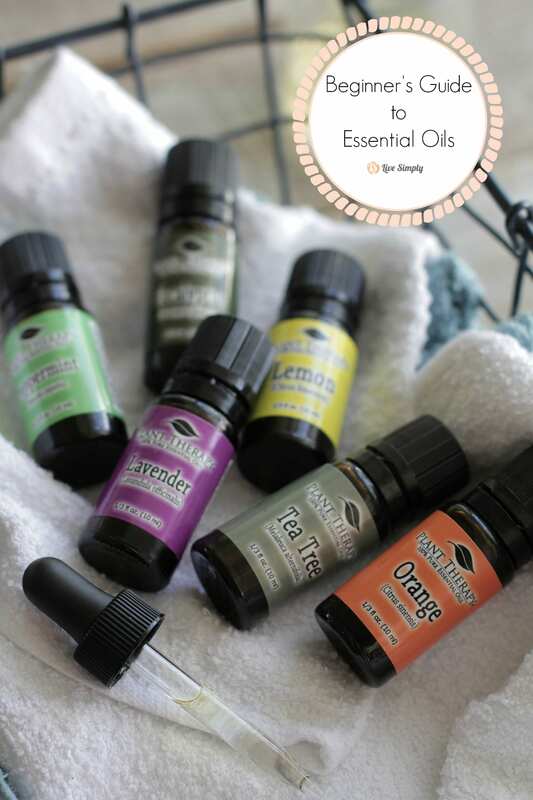 I love the site Learning About EO’s for children-specific questions/concerns: http://www.learningabouteos.com/index.php/2014/02/07/essential-oils-and-children/. Lea Harris, the author and aromatherapist, is a wealth of information. I am fairly new to essential oils. You mentioned that you really like the Plant Therapy brand. How are they different from the bigger companies? I know that they are less expensive in price but how does the quality stand up to the other companies? Thank you, Erin. I’m glad the post was helpful! It’s very useful. Hours staying in front of the screen and I always feel stressed. I heard for some therapy from using essential oils and its incredible impact. Thank Lord, I found your post. I have noted the information. I also need some advices. I love Lavender and Peppermint, wish you to give me some suggestions. Thanks!!! I noticed you listed a different recipe for homemade deoderant that includes bentonite clay but doesn’t include baking soda as opposed to the recipe you have on your site. Do you find that not using baking soda still makes for a deoderant that still “works”? Hey Megan, I wrote this post before I shared my deodorant recipe. Thank you for catching that! I’ll add my recipe in there, too. I prefer the recipe without clay, but the clay recipe works well, too. You could use half clay and half baking soda. Thank you SO much for the great info. I am currently in nursing school but am so interested in learning about more holistic alternatives and have been wanting to experiment with essential oils for quite some time but have always felt overwhelmed with where to begin! So I think I will start with one of the kits from plant therapy (the one that comes with 7 I think) and this might be a silly question, can I use any diffuser with essential oils or does it have to be a certain one? And also, do you have to use a carrier oil with the diffuser or just put the essential oil in ? Thanks in advance for your guidance ! Great . Thanks for sharing so much details about essential oils. I have been using essential oils for a while now. Maybe 2-3 years. And yes, I liked them, but I never was really wow-ed by them. They smelled good and that’s about it . I was using different, cheaper brands I found at the grocery store. Thanks for sharing great things for beginners Kristin. Where do you recommend getting a diffuser & how do you know if it’s a good one? Hey Tara, I purchased my diffuser from Amazon–I looked for the best reviews and price. I love it. This is the one I have: http://amzn.to/2cHFL4Q. 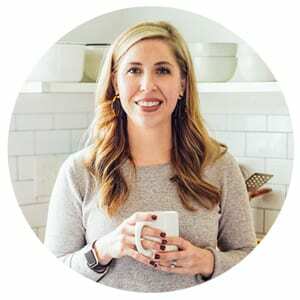 This is really great guide Kristin, So informative and would be perfect for essential oils newbies ! 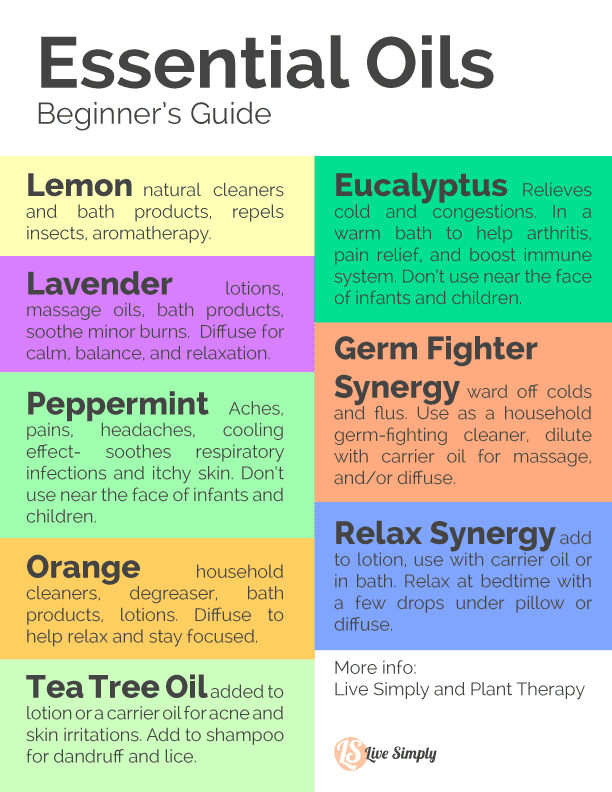 I’m a huge fan of essential oils and I started with some basic essential oils like lavender, eucalyptus, and lemon so that I can explore their uses and now I really enjoy them. Wow! What a great & simple explanation! I’m very new to essential oils & I learned a lot from you! Thank you, Lady! I’m so glad this post was helpful. Hi Kristin. Does the brand of the diffuser matter? Hey Jilar, Any diffuser will work. I like Plant Therapy’s diffuser, just because it’s what I have. Hi! I love this article, so informative! I’m wondering… why did you choose to only buy from these companies and not any of the “big names” like Young living or DoTerra? I am on my own EO journey but am having a hard time finding EO users who don’t strictly use those two brands (aside from you)! What is your opinion on them or the difference! Hey Natalie, I personally don’t like the multiple level marketing tactics of the big companies. I know many of the reps are genuine, but I also think there’s a lot of misinformation and disregard for safety promoted by many of the representatives selling oils for these companies because they are motivated by selling more and more (commissions, higher rank–reaching diamond level, etc. ). I’m not saying this is everyone, but I’ve seen this behavior demonstrated often by the model of selling. Plus, many of their claims are pure marketing gimmick (they have good oils, but their marketing that “their oils are the only pure oils” is nonsense). Because their reps receive a large commission on sales, the oils are far more expensive than they need to be (based on my research). I have nothing against these companies, but the practices I’ve witnessed over the years is enough to keep me away. Thank you for the informative response! It’s nice to get someone’s opinion who isn’t “tied down” to a specific company like that! I mixed sweet orange esstial oil with Jojoba oil in a roller roll to use as a perfume. I love the way it smells but the scent only last about 5 minutes. Is this normal and if not how long should it last when used like this? Hey Deborah, Yes, it’s pretty normal for natural fragrances to fade and evaporate. Solid perfume does last a bit longer, but even then you’ll need to reapply throughout the day for a lasting scent.